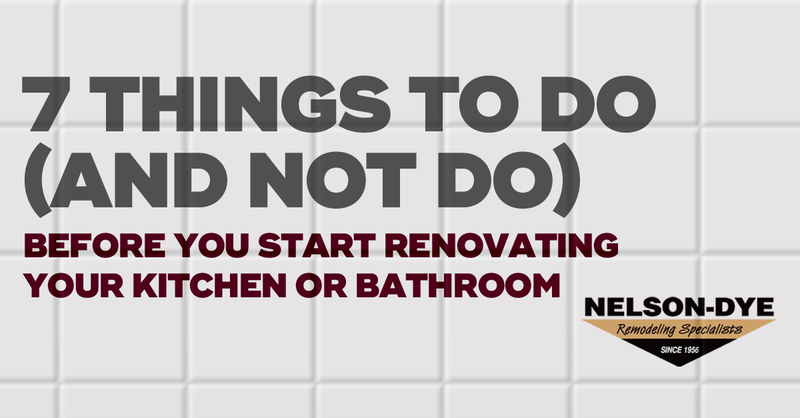 Once you’ve decided that it’s time to start renovating your home, kitchen, or bath, it’s easy to get excited and rush into the process. Unless you’ve had the unfortunate experience of a house fire or other disaster, it’s something you are looking forward to. During our more than 60 years in business, we’ve worked with hundreds of home owners who were ready to plunge right in to the process. We’re just as thrilled as you are, but before we start making our plans, there are decisions you need to make and a few conclusions you should come to. You don’t have to make all the design decisions before you call us. We’ll help you with that. But having a clear idea on the result will help us give you accurate estimates and quotes, and will give our experienced team the knowledge they need to give you a realistic timeline. Do you want a refreshed look? To tear it all out and start over? Expand your home? Is it a kitchen? Bathroom? Multiple rooms? What do you want your home to do for you? Then we’ll take your vision and let you know what’s possible. Watching HGTV has spoiled us for the reality of rebuilding or remodeling a home. One of the secrets behind the Extreme Makeover and other home renovation shows is that the home city is eager for the exposure. They will work with the producers to make extraordinary things happen. Inspectors are often on-site 24 hours a day and permits and plans have been filed and approved long in advance. We are proud of our success which builds on 60 years of experience and reduces much of the delays and waiting that some contractors subject their clients to. Still, these things take time, from ordering special tiles to waiting on the city to approve plans, there are factors that we can’t control. But we pride ourselves on being very upfront about the timeline and the process. We include a timeline in your initial proposal that is as realistic as we can make it. If you ever have questions about the timeline, our team will let you know exactly where we are and what’s coming up next. 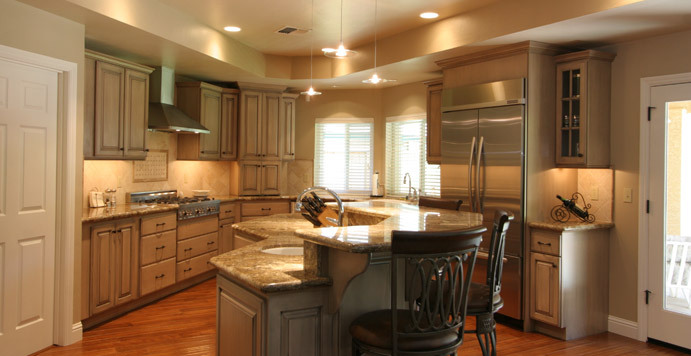 While we’re happy to make absolutely certain that you get exactly what you want in your kitchen or bathroom renovation, we’ll also have to update the timeline and sometimes the cost if you change your mind or add additional design elements. This is why having an interior designer who works within our remodeling company is so valuable. We understand which changes can be made with minimal disruptions and which will make a big change in labor, costs, or the time to finish. We’ll be happy to show you as many options and previous projects as you want to see before we make final plans and deliver our project cost and timeline. Because we’re the managing contractor, we can control a lot of variable such as ordering specialty items, scheduling our work teams, and allowing plenty of time for permits and plans. You and your family can help us stay on track by starting and sticking with the original concept and results. Our team takes care of applying for and pulling all the permits. In the planning process, we’ll make sure that your ideas and any additions fit into the local planning regulations. There won’t be any surprises halfway into the course of renovating. 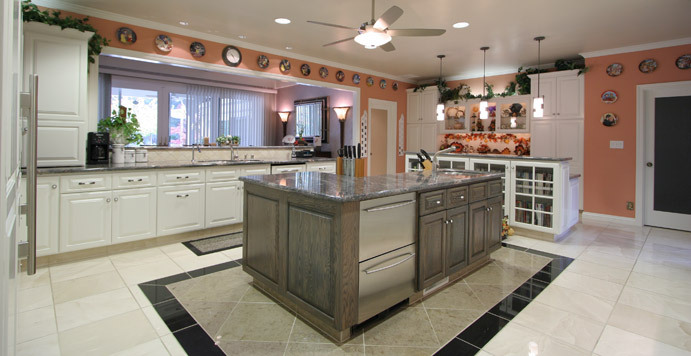 You don’t need an architect to draw plans for your kitchen or bathroom remodel project. All the plans are reviewed by the city planning department and they make sure everything is up to code. As long as they are sound and follow the regulations, they don’t need to be drawn up by an architect. We sometimes hear from potential clients that they are ready to work with us, but they need to go find an interior designer first. It’s a pleasant surprise when they meet Michael, a third generation family member and our Interior Designer. 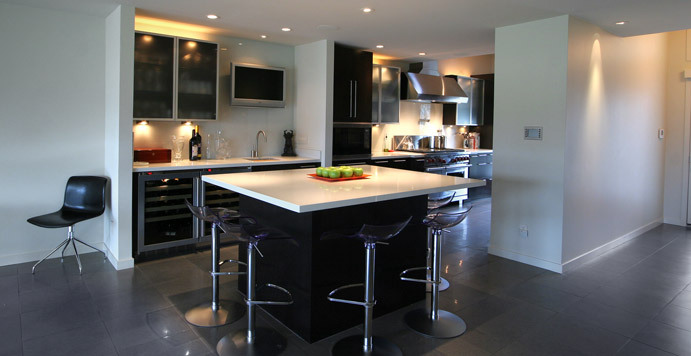 He’s part of our complete renovation and remodeling service. Our team has created hundreds of projects for families just like yours. We know how to work with trends, but create classic designs. We know what makes families happy and how to make the most out of the space you have … or the space you’re going to add. You’re not in this all on your own. 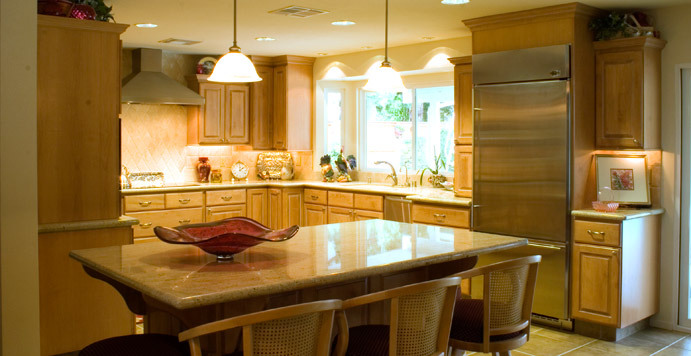 While we are always glad when a client has a very clear vision, we’re also willing and able to guide you toward a final kitchen or bath renovation result that meets your needs and turns your house into the home of your dreams. Ready to get started? 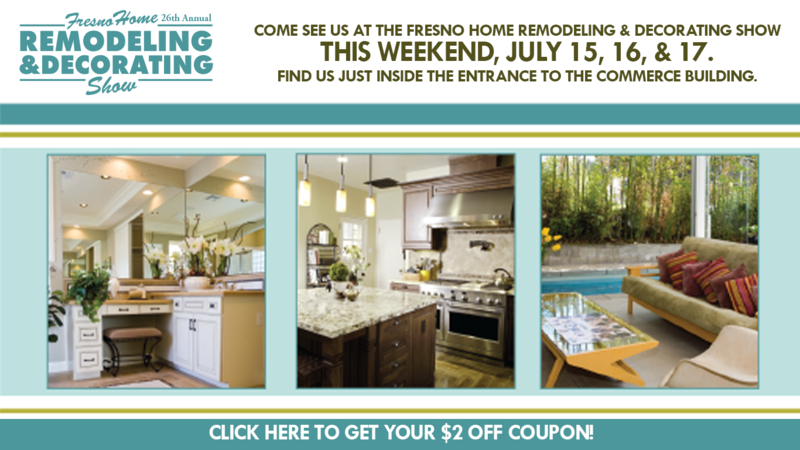 Call us now for a free quote at (559) 292-5785.